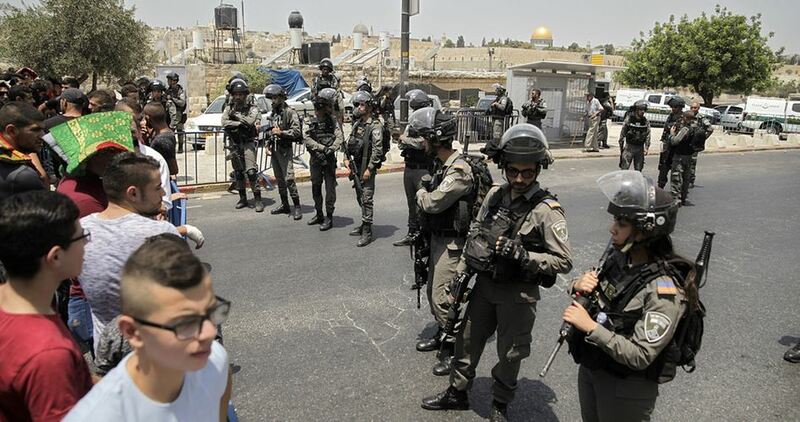 The Israeli police turned on Thursday morning Occupied Jerusalem into a military barracks in anticipation of the third Friday of Ramadan. The police said that thousands of its forces are scheduled to be deployed throughout the occupied city, particularly in the Old City. Hundreds of thousands of worshipers are expected to perform Friday prayers in al-Aqsa Mosque amid very tight military restrictions. Since the beginning of the holy month, many military checkpoints were erected in different areas of the city amid heavy presence of Israeli police forces. 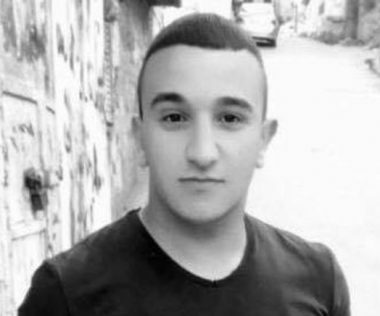 Israeli plain-clothes officers on Thursday kidnapped a West Bank young man during his presence in the Arab city of Tamra in the Lower Galilee (north of the 1948 occupied territories). Informed sources told the Palestinian Information Center (PIC) that police officers in civilian attire kidnapped a Palestinian young man called Khalil al-Qarem in Tamra city. 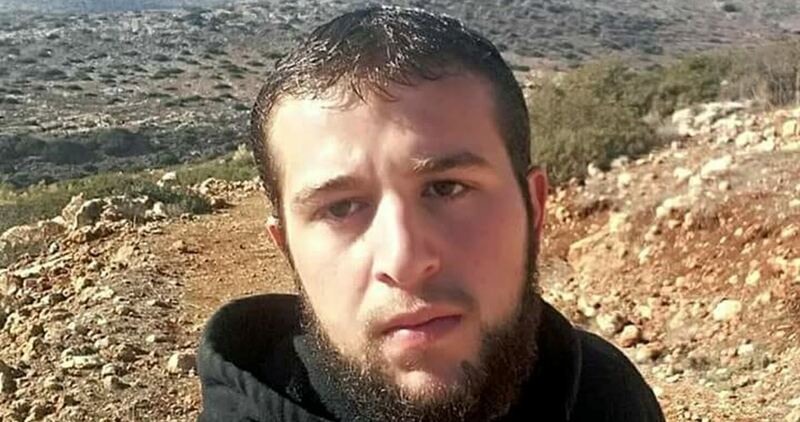 Qarem is from the West Bank town of Jalqamus and he was kidnapped from his workplace in the city. The Israeli Shin Bet Security Service has warned that Jewish extremist settlers from the settlement of Yitzhar, in the northern occupied West Bank, could commit “hate crimes” against Palestinians during the Muslim holy month of Ramadan, Haaretz reported on Tuesday. As a result of the threat, Israeli security services have doubled their presence in the settlement near Nablus as well as other areas including the illegal Gush Etzion settlements cluster. It quoted an Israeli security source as saying that “increasing the security forces’ presence in Yitzhar from the beginning of Ramadan aimed to get closer to the suspected central activists who stand behind the attacks and prevent them from implementing their plans.”. Haaretz said the settlement’s nearly 1,200 residents have presence the security presence as “harassment”. According to Israeli reports, 53 mosques and holy sites were attacked or burned by settlers from 2009 to 2017 in the occupied West Bank. One of the biggest weapons manufacture in the world is setting up shop in Jerusalem to delivery education programmes to children as young as five. Lockheed Martin is famous for manufacturing the F-35 fighter jet, famed for pummelling Palestinians in Gaza. The American aerospace and weapons firm is now partnering with the Israeli education ministry to open an “one of a kind” kindergarten in Jerusalem. Israeli occupation forces yesterday closed a road and erected military checkpoints around some Palestinian cities in the occupied West Bank. According to Quds Press, local sources and eyewitnesses said yesterday that the Israeli occupation forces erected three military checkpoints in several locations in the city of Jenin and soldiers began inspecting Palestinian vehicles which approached. The sources added that the Israeli occupation forces closed the Ramallah-Jalazone road without notice. Soldiers prevented Palestinian vehicles from travelling through the road. No reason was given for the measure. The occupation army checks the identities of Palestinian citizens under the pretext of searching for wanted persons. Israel’s ad hoc military blocks are a sources of constant worry for Palestinians in the occupied West Bank who are left unable to access their jobs and schools as a result of the road closures. Unemployment in the West Bank has reached 19 per cent with Palestinians unable to maintain jobs as the economy is destroyed by the occupation’s actions and restrictions. Syrian Coalition officials met with a delegation from the British Foreign Office on Thursday. Both sides discussed the latest field developments in Syria as well as the violations being committed by the Assad regime against civilians and the obstacles preventing the return of displaced persons and refugees to their homes. The meeting also discussed the latest developments in the political process and the Coalition’s important role in the political scene as well as within the Syrian Negotiations Commission. Both sides also discussed the Coalition’s plan of action for the next phase, including ways to step up efforts in the liberated areas and activate the role of its institutions in the provision of services to the civilian population, especially for those who were displaced from other parts of Syria. Vice-President of the Syrian Coalition, Dima Moussa, underscored that a political solution in Syria will not succeed without full supervision by the United Nations and the implementation of international resolutions on Syria, most importantly the Geneva Communique of 2012 and UN Security Council resolution 2254. She also pointed to the need to achieve a comprehensive political transition without Bashar al-Assad and his clique who are responsible for thousands of crimes of war. “We continue to believe that a solution in Syria is a political one and through the United Nations in accordance with international resolutions,” Moussa said. She emphasized the important role of “our allies and friends” in supporting this path as well as supporting the opposition and the Syrian Coalition in a way that serves the goal of the political process, namely to meet the demands of the Syrian people for freedom and dignity. Moreover, Moussa called for preventing the implementation of Law No. 10 which the Assad regime lately issued with the aim of consolidating mass forced displacement and demographic change by preventing refugees from returning to their homes. She stressed the need to raise the issue at the international level. Attempts by the Israeli government to legalise land theft has been bumped off-course following a Supreme Court ruling contradicting a legal precedent which had granted a green light for illegal settlers to seize private Palestinian land. Chief Justice Esther Hayut delivered a legal verdict yesterday following a petition from Israeli human rights organisation Yesh Din, in which Hayut commented on a controversial ruling from last year by Justice Salim Joubran , which effectively legalised the seizing of private Palestinian land. Joubran, a Supreme Court justice, appeared to endorse Israelis building on private Palestinian land – even if it was not for security purposes – as long as the construction passed a proportionality test. Until then, the courts had been clear that Israelis could not build on private Palestinian land unless there was a security interest. Joubran’s ruling also contradicted international consensus. Under international law all settlements in the West Bank and East Jerusalem are illegal and, until his decision, outposts were also illegal under Israeli law as they are built on private land on which Palestinians have claims. The decision was regarded as the biggest legislative achievement in decades by the growing pro-settler movement. Having won over the Israeli population as well as the Knesset, which voted in 2017 to pass a law that legalised expropriation of privately owned Palestinian land, the high court was the only institution that stood in the way of legalising land theft and colonisation. A minority of Israeli politicians saw the authorisation of illegal expansion as the beginning of Israel’s road to The Hague, referring to the blatant violation of international law endorsed by the Knesset, which exposed Israel to prosecution by Palestinians in the International Criminal Court. In her verdict, Hayut said that the previous ruling had endorsed a criminal reading of international law where Israelis could steal private Palestinian land, even as the rest of the world viewed this as violating international law. Hayut concluded that the decision by Justice Salim Joubran in which he wrote that “the Israeli residents of the area [West Bank]… are also among the civilian population in the area,” and that therefore the state “is obligated to act for their welfare… even by violating the property rights” of the original Palestinian land owners was a tool that could be used to legalise more illegal outposts in the occupied West Bank. Hayut’s ruling, which is bound to provoke a hostile response from senior members of the Israeli government, confirmed that her colleague’s statements were nonbinding, legally problematic and likely contradicted prior court precedent. 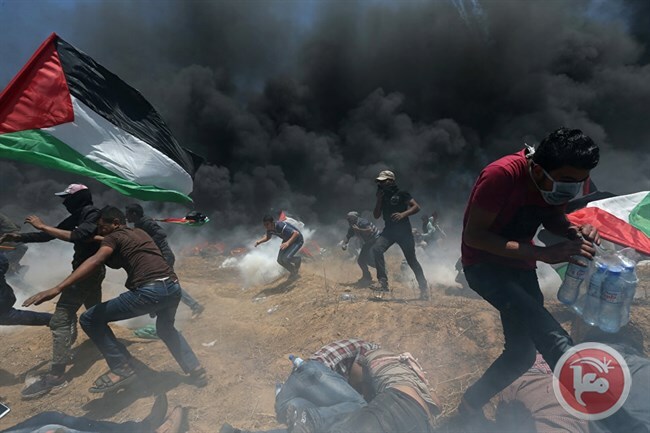 GAZA (Ma’an) — A Palestinian man succumbed to wounds on Wednesday that he had sustained previously during the “Great March of Return” protests in the Gaza Strip. The Gaza Ministry of Health confirmed that Naji Mesra Ghneim, 23, succumbed to wounds he sustained a few days ago near the “return camps” stationed along the border in eastern Gaza.Prior to the start of the “Great March of Return” on March 30, hundreds of Palestinian protesters set up “return camps” along eastern Gaza’s border with Israel, where many lived for the duration of the six-week long protest. After he was injured near the return camps, Ghneim was transferred to a hospital in Jerusalem due to his serious condition. According to the Ministry, Ghneim’s death brings the total number of Palestinians killed in the protests to 118. Additionally, around 13,000 Palestinians were injured by Israeli forces during the marches. The “Great March of Return” protests were launched by thousands of Palestinian civilians in Gaza — which has suffered from a decade-long Israeli siege — who took to the borders to demand their right of return as refugees to their orignial homelands, now in present-day Israel. Israel has come under widespread international condemnation for its use of excessive force and live ammunition against unarmed protesters. Dozens of Israeli soldiers invaded, early on Friday morning, the Deheishe refugee camp, south of the West Bank city of Bethlehem, injured five Palestinians and abducted one. The soldiers invaded the refugee camp through its main entrance, and fired many live rounds, including expanding bullets, and gas bombs, at many youngsters, who hurled stones the armored military jeeps. Medical sources said the soldiers shot five Palestinians with live fire and the Toto expanding bullets, before they were rushed to a local hospital. The Deheishe News said undercover soldiers also infiltrated into the refugee camp, using a car with Palestinian license plates, especially in Martyr Saed Eid neighborhood, before storming and searching homes, and abducted Ahmad Jamal Ghanayem. Regular army units then invaded many other areas in the refugee camp, and attacked protesters, especially in al-Basha area, and the al-‘Asleeni neighborhood.